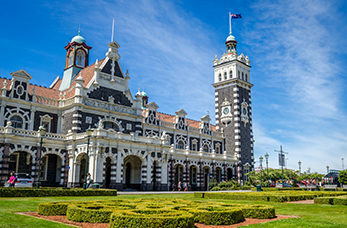 Dunedin is the seventh largest city in New Zealand and has a Scottish heritage that has never been lost throughout the years. Dunedin is a peaceful city with Victorian buildings and surrounding wildlife which lies within the city limits. The harbours and hills that surround the city are remains of and extinct volcano. Dunedin has lots of abundant wildlife and heritage buildings with nightlife you won't forget. This spectacular 1906 mansion provides historic information about Dunedin's past. The mansion was a family home until 1966 and is now used for fascinating tours around the building.